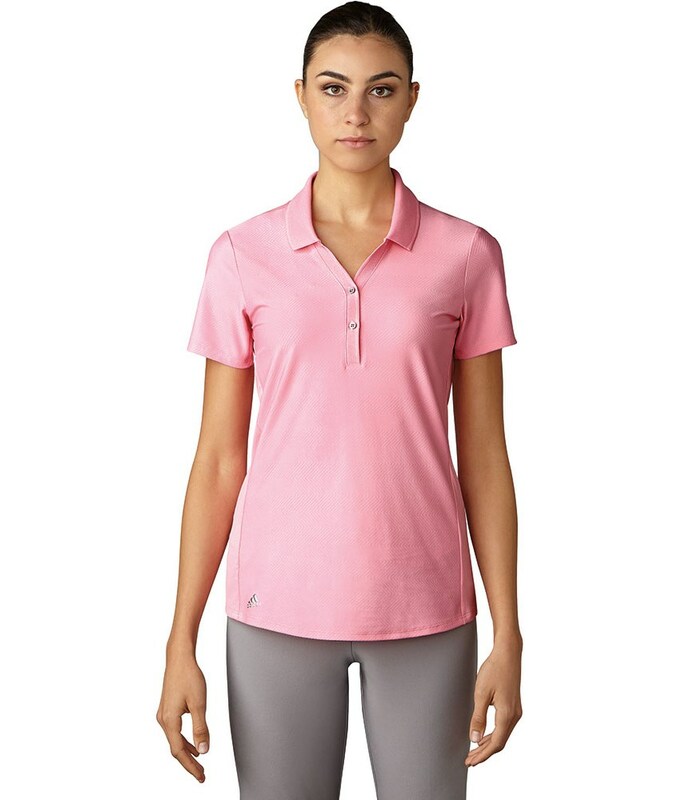 The adidas Ladies Essential Jacquard Polo Shirt have created this stunning drop-neck design to help you enjoy playing golf during the hot summer months. adidas have used a textured fabric front body and a solid fabric on the back that contains a UPF fabrication to keep you protected from the sun. A stretchy, lightweight fabric will enhance movement and mobility whilst providing a stunning fashionable fit that will look great on or off the golf course. Textured fabric on front body. Solid UPF fabrication on back body for sun protection. Drop neck placket for feminine silhouette. Metallic adidas® performance logo at lower-right hem.